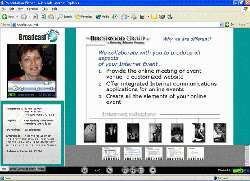 Recording your live program and placing it on your communications web portal, for viewing later, is another means of extending your communications. This allows additional reach when all of your prospective audience is unable to attend the live event. Certain topics lend themselves to long term accessibility as archived only programs. These can also be created specifically for web broadcast with a 24/7 on-demand interface utilizing our Broadcast On-the-Net service. Depending upon the requirements we will recommend a streaming audio and/or video program with synchronized visuals, chapter viewing, transcribed copy Etc. In this manner people can view the program at their convenience and it can be available for a number of years as needed. They would simply register at your Update On-the-Net web communications portal to obtain access to the secure archive library and view the materials. All is professionally managed to ensure a successful outcome with comprehensive tracking for follow-up and ROI closure. 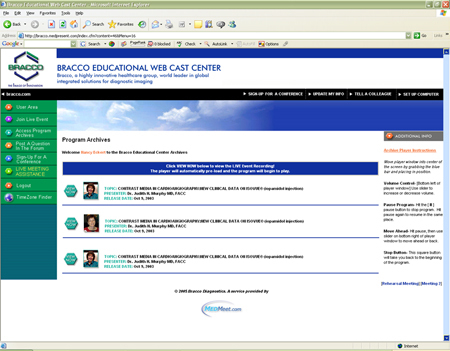 A fully functional library archive application, Broadcast On-the-Net is ready to be included within your web communications portal. We can post you programs simply and easily with links to our dedicated streaming servers. - auto email notification delivery. - deliver them in reports and via email. Digital Rights management of content can be instituted along with eCommerce payment structure upon request.